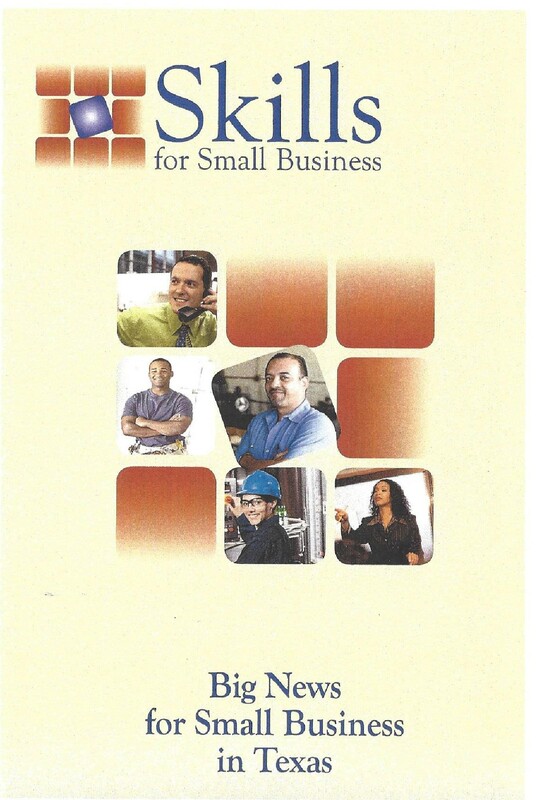 For more information on Skills for Small Business, including an application and Frequently Asked Questions, access http://ssb.texasworkforce.org. 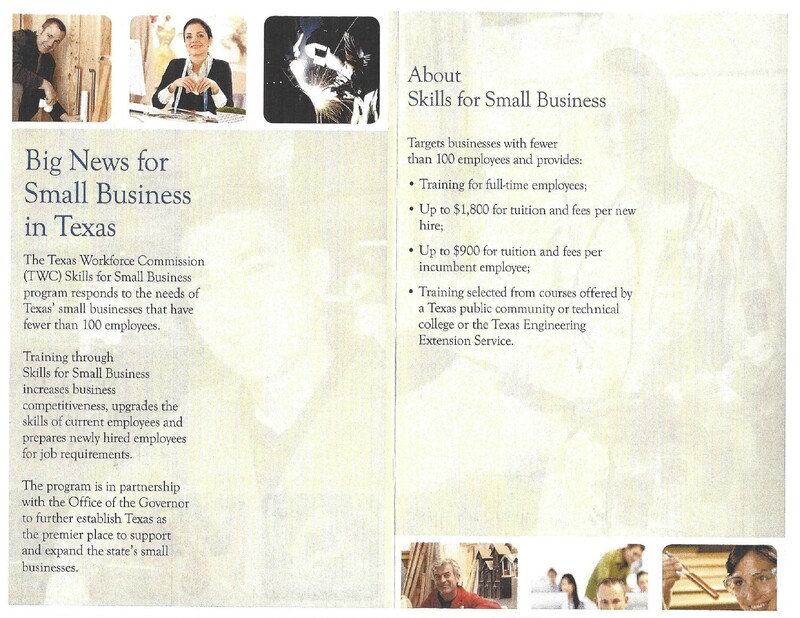 For further assistance, contact the TWC Employer Initiatives Project Development Team at 1-877-463-1777 or email skillsforsmallbusiness@twc.state.tx.us. This information is courtesy of Texas Workforce Solutions!